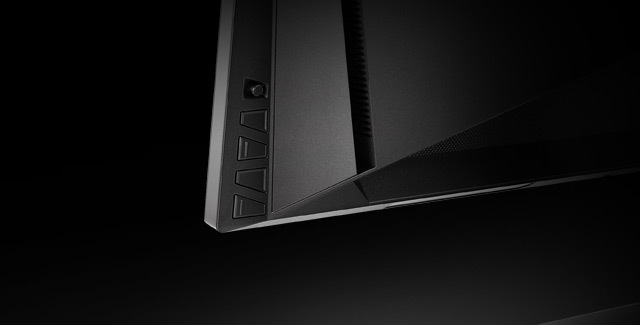 The ROG SWIFT PG278Q represents the pinnacle of gaming displays, seamlessly combining the latest technologies and design touches that gamers demand. 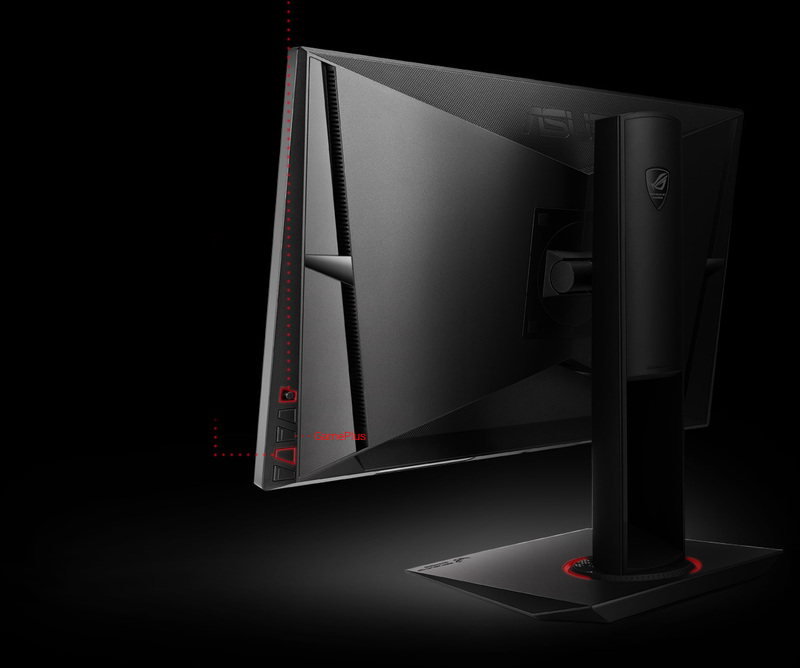 This 27-inch WQHD 2560 × 1440 gaming monitor packs in nearly every feature a gamer could ask for. An incredible 144Hz refresh rate and a rapid response time of 1ms eliminate lag and motion blur, while an exclusive Turbo key allows you to select refresh rates of 60Hz, 120Hz or 144Hz with just one press. 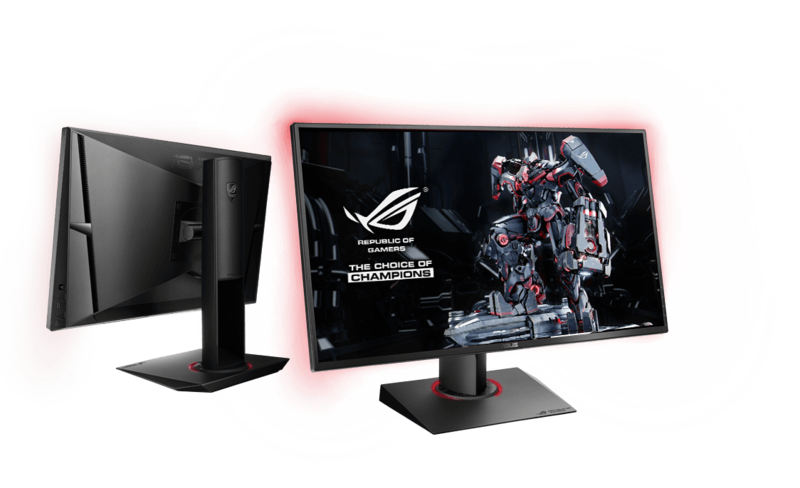 The ROG SWIFT contains integrated NVIDIA® G-SYNC™ technology to synchronize the display's refresh rate to the GPU. 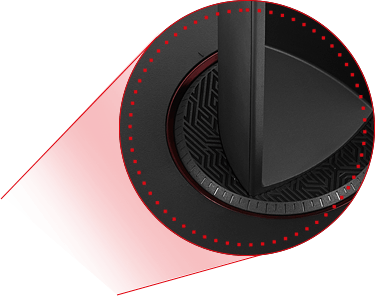 This technology eliminates screen tearing, while minimizing display stutter and input lag to give you the smoothest, fastest and most breathtaking gaming visuals imaginable. 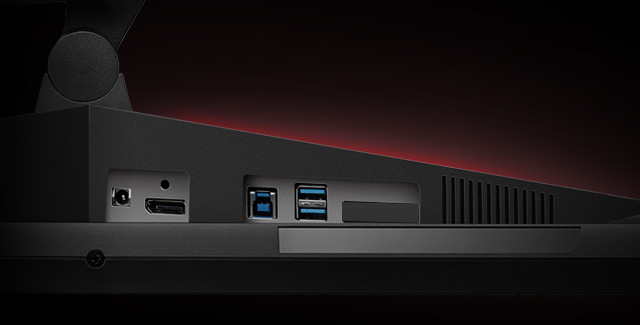 Connectivity is simple, yet robust, with a single DisplayPort 1.2 port to enable NVIDIA®G-SYNC™ and dual USB 3.0 ports for convenience. 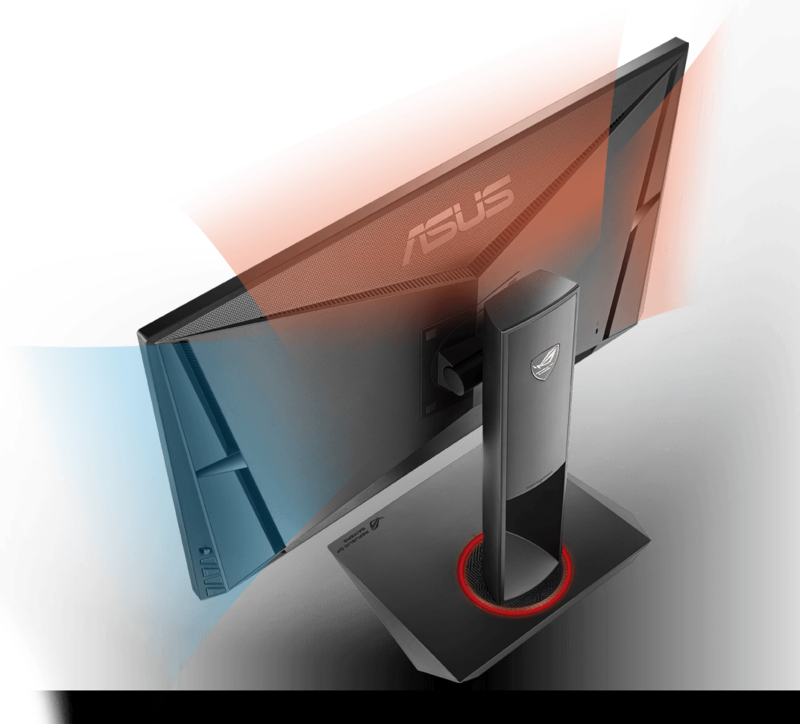 ASUS-exclusive GamePlus Technology enhances your gaming experience further by providing you with crosshair overlays for FPS games and multiple in-game timers for RTS/MOBA games. 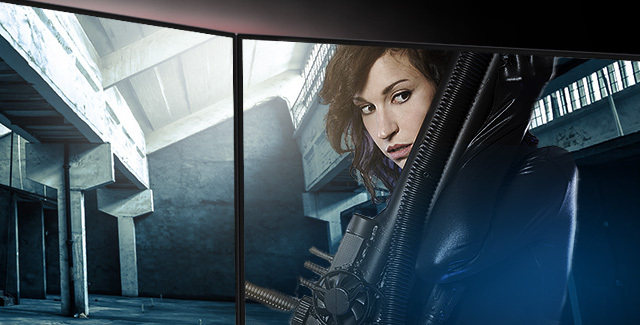 The ROG Swift has a super-narrow 6mm bezel that begs this monitor to be used in multi-display gaming set-ups. With VESA wall mount capability and an ergonomic stand designed with full tilt, swivel, pivot and height adjustments, the ROG SWIFT is ready for gamers of all shapes and sizes to game comfortably for hours on end. 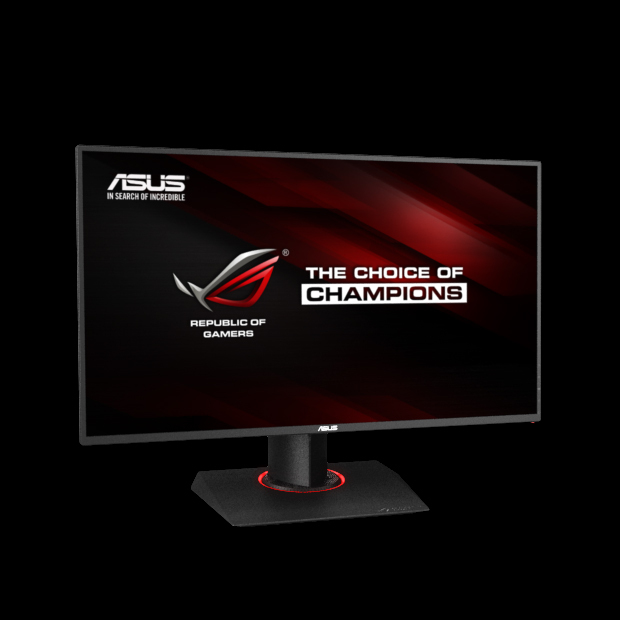 GREAT GRAPHICS FOR THAT IN-GAME ADVANTAGEThe 27-inch WQHD Display that Offers Greater Detail and More Onscreen Real Estate The ROG SWIFT PG278Q represents the next generation in gaming displays. This WQHD 2560 x 1440 monitor delivers four times the resolution of 720p, with 109 pixels per inch or 109 RGB matrices per inch. This gives you the benefits of greater image detail and up to 77% more onscreen desktop space than standard Full HD (1920 x 1080) displays. These minor details add up to give you a major in-game advantage. Conventional 27-inch 1920 x 1080 monitorShows less detail and spacing with less room for work bars on the side. 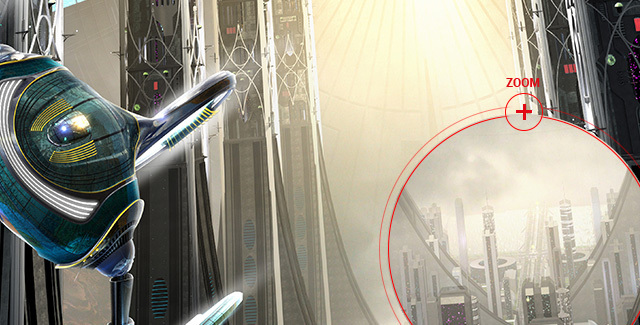 Images are relatively blurrier. ROG SWIFT PG278Q 27-inch 2560 x 1440 monitorSee more detail and spacing with more room for working bars on the side. 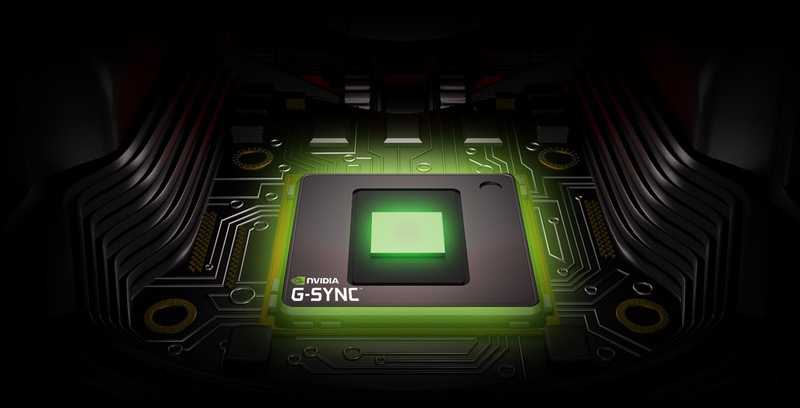 NVIDIA®G-SYNC™ display technology delivers the smoothest, fastest and most breathtaking gaming imaginable. 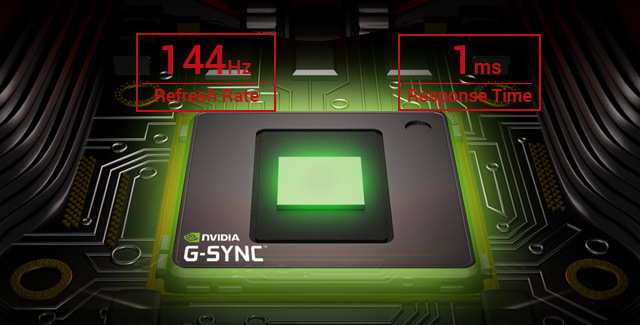 G-SYNC™ synchronizes the ROG SWIFT's refresh rate to the GPU in your GeForce GTX-powered PC, eliminating screen tearing and minimizing display stutter and input lag. 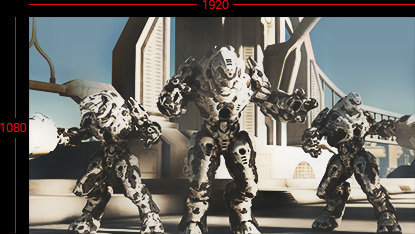 Scenes appear instantly, while objects look sharper and more vibrant. 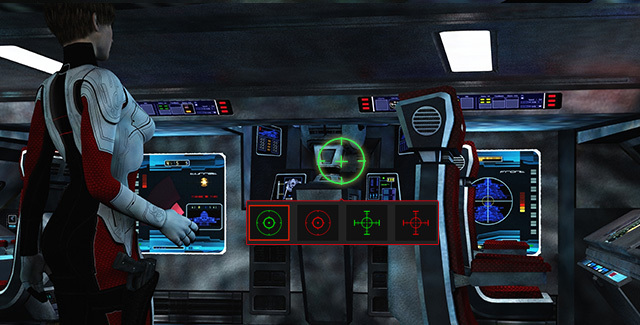 Gameplay is fluid and responsive too, ensuring a serious competitive edge. 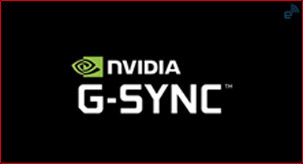 The ASUS Display R&D team works closely with NVIDIA to ensure that everything runs smoothly on ASUS G-SYNC™ monitors. 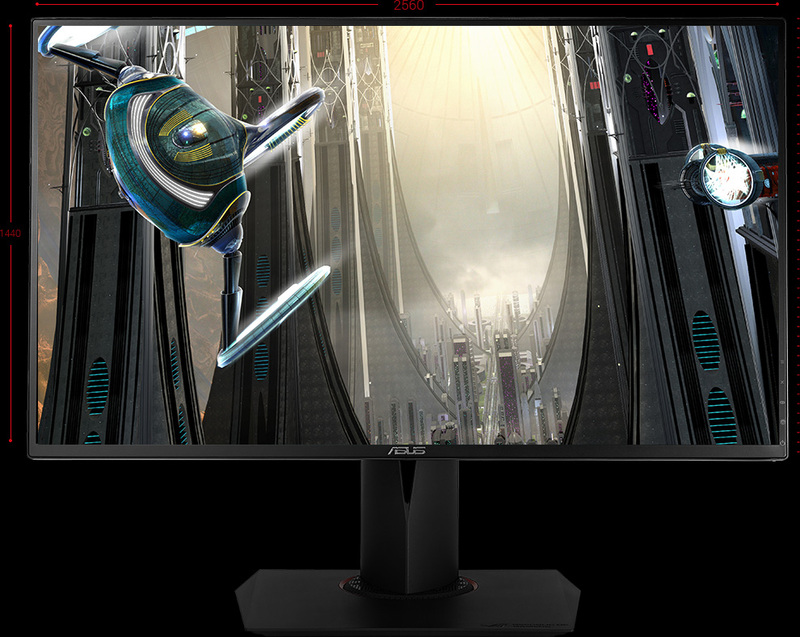 The ROG SWIFT PG278Q gaming monitor with built-in G-SYNC™ delivers super smooth and stunning visuals. 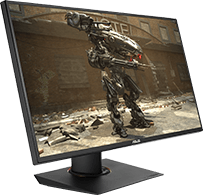 Conventional 60Hz monitors show extensive motion blur which detracts from your gaming experience. 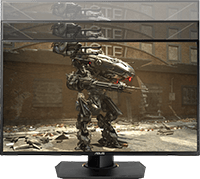 The ROG SWIFT PG278Q Gaming Monitor with NVIDIA® Ultra Low Motion Blur technology* reduces the effects of motion blur by delivering crisp edges in fast-paced gaming environments for perceivable differences in natural movement. 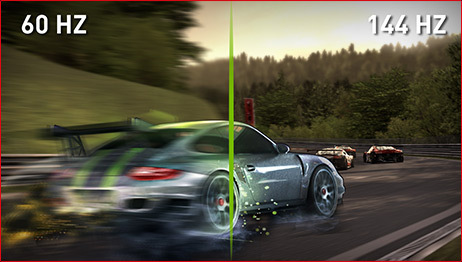 *Users can turn on the Ultra Low Motion Blur function from the OSD setting. 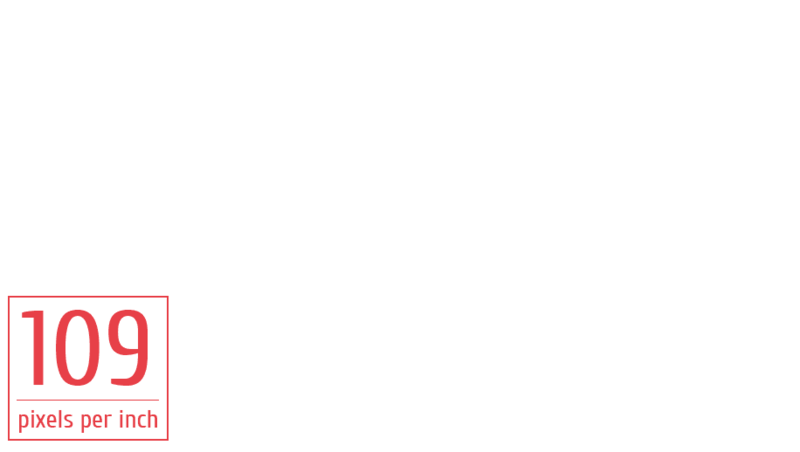 This works with titles that do not support the NVIDIA® G-SYNC™ technology. 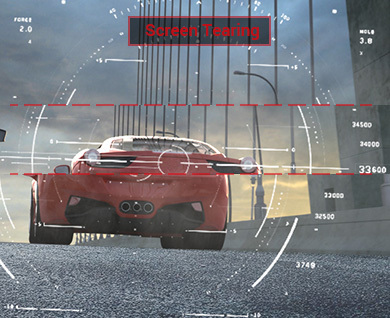 Ultra Low Motion Blur technology works only at 85Hz, 100Hz and 120Hz. The ROG SWIFT PG278Q is compatible with the NVIDIA® 3D Vision™ 1 and 2 kits* to support up to three WQHD displays for immersive multi-display 3D gaming experience. 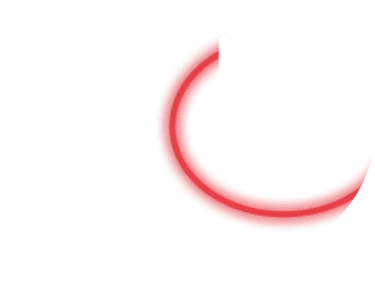 ROG SWIFT provides the finest 3D gaming and content viewing experience and thanks to the ever-growing library of over 700 3D Vision™ ready game titles, as well as 3D Blu-ray movies and YouTube 3D Playback support. See everything in a new dimension with the ROG SWIFT. 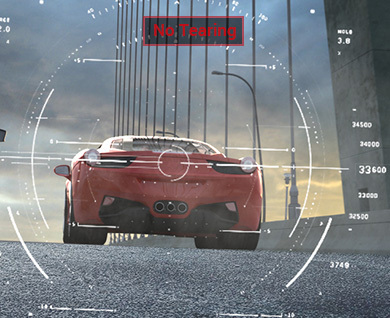 *Requires NVIDIA® 3D Vision™ kit, sold separately. 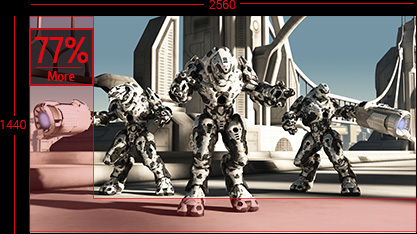 Go to www.nvidia.comand www.3DVisionLive.com for further details. Light-in-Motion EffectsThe ROG SWIFT PG278Q Gaming Monitor comes with a mysterious and intricately-patterned base that can illuminate with an LED Light-in-Motion feature.IMPROVED IN-GAME ACCURACYASUS-exclusive GamePlus Technology The ROG SWIFT PG278Q Gaming Monitor features the ASUS GamePlus hotkey with crosshair overlay and timer functions. 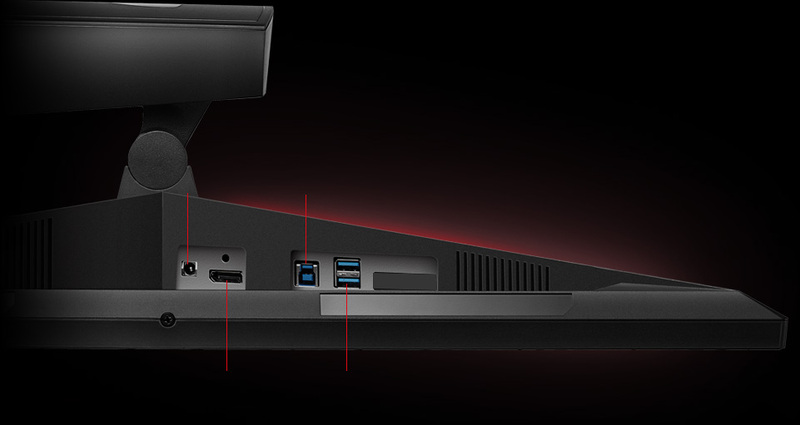 Select from four different crosshairs to suit your gaming environment, and keep track of spawn and build times with the on-screen timer that can be positioned anywhere along the left-hand edge of the display.ADVANCED CONNECTIVITY WITH SMART CABLE MANAGEMENTThe ROG SWIFT PG278Q Gaming Monitor includes DisplayPort 1.2 for native WQHD output and dual USB 3.0 ports for convenient pass through connectivity. A cable management design feature found on the back of the monitor allows you to organize and hide your cables to keep your gaming area tidy. EXTRAORDINARY COMFORT The ROG SWIFT PG278Q Gaming Monitor is specially designed for long marathon gaming sessions. Its slim profile and super-narrow 6mm bezel makes it perfect for almost seamless multi-display setups. The ROG SWIFT also has an ergonomically-designed stand with tilt, swivel, pivot and height adjustment so you can always find that ideal viewing position. It can also be VESA wall-mounted.